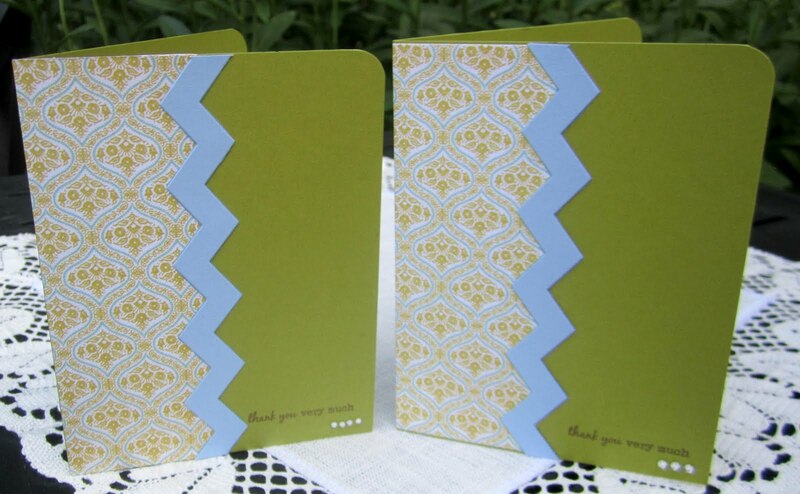 One of the hottest trends right now is the chevron. I've seen them used in decorating, clothing and crafting. So this week we would like you to use a chevron in your project. Please play along and link up your creation below, we love to see what you create! Entered a wrong entry for the Chevron challenge. Please delete entry #5. Entered a card with chevron embossing and I sued the chevron pattern to look like water & mimic the clam shell ridges.